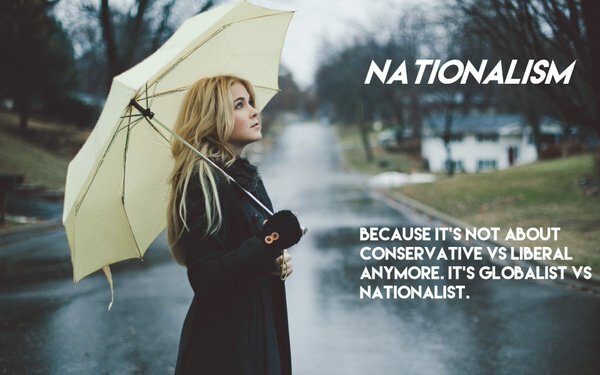 The New Nationalist does not believe in phenomenal coincidences or in the bogus Hanlon’s Razor, which says, “Never attribute to malice that which is adequately explained by stupidity.” In our reporting we find that malice and skulduggery are far more often involved than even we could ever imagine. Case in point is that of Chipotle Mexican Grill, a restaurant chain that was involved this week in another major norovirus food poisoning outbreak, one that has sickened 133 customers in Virginia. It’s curious indeed considering that the company is on high alert for food safety following E. coli outbreaks in its restaurants in 14 states during 2015. At its Boston restaurant alone, 150 customers were sickened. It’s also curious that multiple strains of E. coli were involved in the 2015 case. Of course, the 2017 norovirus is different from E. coli. Dr. William Schaffner, a professor of infectious diseases at Vanderbilt University School of Medicine, says this number of outbreaks tied to a single chain is unprecedented. “This series of outbreaks with one chain has everyone, including my friends at the CDC, scratching their heads,” he told CNBC. Indeed, inquiring minds would like to know how one major restaurant chain is impacted by a virtual toxic cocktail of various E. coli and norovirus over a two-year period? What are the odds? Aaron Allen, a principal at restaurant consulting firm Aaron Allen & Associates, wrote on Monday in a LinkedIn post that was shared by Bloomberg: “Though it might seem far-fetched, there are some facts that suggest the near-endless food safety scandals plaguing Chipotle belie something more sinister than simple misfortune. Allen said his team, which include a statistician and food safety experts, found a number of “statistical anomalies” at Chipotle. For example 60% of food outbreaks typically take place between December and May; however, Chipotle’s occurred from August to December (2015) and, most recently, in July (2017). The average norovirus outbreak causes about 18 illnesses, while salmonella usually leads to about 25. At Chipotle, more than 200 people were sickened from a single August 2015 norovirus outbreak, and 64 fell ill from the same month’s salmonella problem. In this week’s norovirus outbreak, 133 customers were sickened. In the Bloomberg article, Bill Marler, a food safety attorney who has litigated food-borne illness claims for decades and who represented clients in each of that year’s Chipotle outbreaks says, “It’s conspiratorial nuts.” He allows that a conspiracy is theoretically possible. “But I don’t believe in aliens, or that humans walked the earth with dinosaurs, either,” he added. Oh really- there’s a nexus with that logic? As TNN well knows, this is shadow gaslighting language that we utterly despise when we hear it and automatically gets our antenna up. An even more likely reason, however, is that it just so happens that Chipotle stood out as a champion of non-GMO food sourcing and had challenged the industrial, commoditized, food-production systems of the United States. “Somebody” may have decided that the timing was ripe to smack ’em down. Chipotle on its end has conducted hundreds of tests on its food and preparation surfaces. It has still not identified the source of the E. coli outbreak. If it’s investigating a sabotage conspiracy, so far the company has been tight lipped, which is understandable given the power of gaslighting and slurs about aliens. It’s forced to come up with strong smoking-gun evidence before openly pursuing that angle. This in itself demonstrates how vulnerable targeted corporations and individuals are to a well-orchestrated conspiracy. 4 Comments on Is Chipotle Being Targeted by Saboteurs and Gravedancers? Is Chipotle a member of the Corporation Monopoly?? If not, a member of the Monopoly is trying to force them to sale for penny on a dollar. **Off topic but have you seen this?? I thought it strange as well that the FEDs were investigating a restaurant. Why not investigate the disgusting taco truck down the street? The hole in the wall chinese buffet? Too much coincidence to be true. May have to differ on this one boss. Chipotle is being targeted by their barely heated troughs of food that just sit there for hours on end. At minimum that makes them an easy mark. I trust the crudest taqueria more.